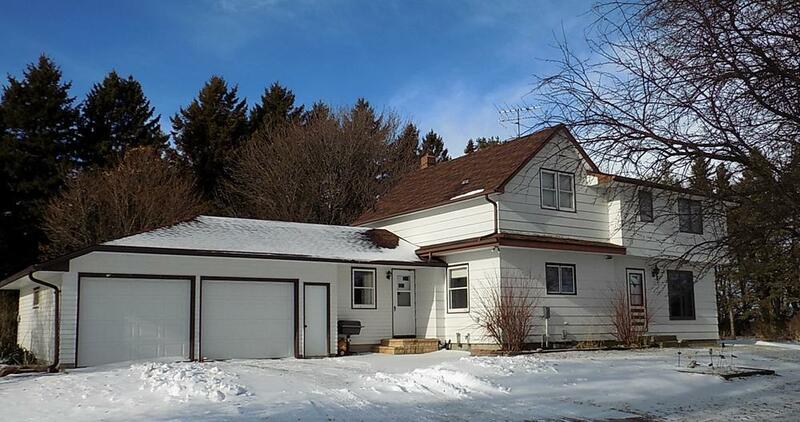 Come and see this nicely kept home near Winthrop, MN! This is a 4 bedroom, 2 1/2 bath home with an attached 2-stall garage. The features include an eat-in kitchen, main floor laundry, nice entry way with closet, breezeway and 3-season patio. Majority of the exterior will have new steel siding installed this spring. Outbuildings include a Quonset shed, barn, shed, poultry house and grain bin. Outside has large open areas, very well-maintained grove area all set on approximately 7 ac. School District: 2365 - G.f.w.